Today more than 125 farmers, ranchers, teachers, small business owners and others from rural communities and small towns across the country gathered in Washington, D.C. as part of a "Broadband WORKS for Rural America" advocacy day. Participants delivered the message to policymakers that increased access to high-speed Internet is a critical component of job creation and economic development, and is necessary to ensuring a prosperous future for citizens living in remote or hard-to-reach communities. While on Capitol Hill, participants held a press conference, featuring Rep. Heath Shuler (D-NC), and met with members of Congress, and the offices of Secretary of the Interior Ken Salazar and Secretary of Agriculture Tom Vilsack, calling for policies that promote further expansion of high-speed Internet to rural America. As part of their message, advocates stressed that increased access to high-speed broadband would spur job growth, attract new businesses and allow for the expansion of existing operations, and promote essential social benefits such as distance learning and remote healthcare services via telemedicine in rural communities throughout the country. "Lack of access to high-speed broadband Internet puts rural communities across the country at a serious disadvantage," said Congressman Shuler (D-NC). "Broadband is the great economic and social equalizer of our time, and expanding high-speed internet access to rural America will give more communities the tools they need to create jobs, expand educational opportunities, and improve public safety and health care. Broadband will give small businesses in rural areas a pathway to participation in the global economy and provides the framework for long-term economic growth and stability for years to come." Residents from regions all across the United States shared compelling stories about the impact of high-speed Internet while inWashington. For instance, Jon Chadwell, Executive Director of the Newport Economic Development Commission in Newport, Arkansas, spearheaded a project to expand high-speed Internet access to the local industrial park, home to three businesses that were losing clients due to a lack of access to broadband. As a result of Mr. Chadwell's work to connect the area to broadband Internet, the companies added a total of 325 local jobs in just six years. 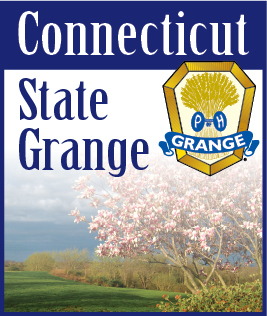 "The National Grange has been advocating for affordable access to broadband in rural America for a long time," said Ed Luttrell, National Grange President. "Never before in our efforts have we seen so many diverse organizations, telecommunications companies, and advocacy groups at the same table with the same commitment and vision. I believe the drumbeat of increased access to broadband in rural America has been heard in our Nation's capital this week."